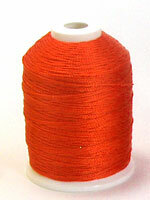 These are vintage 1-ounce spools of 3-ply bonded nylon cord similar to Tuff bead Cord Size 3 or Nylon size FF. It is a good cord to string beads with as it has no stretch. 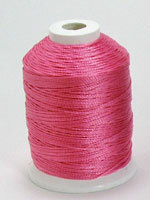 The thread is finished with a soft bond, so its bond is a bit softer than Tuff. 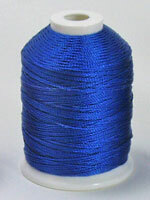 It is a good alternative to Tuff Bead Cord Size 3 with a diameter size just a tad smaller. 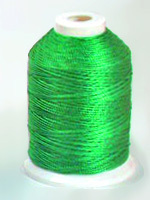 Availability is limited, as this thread is no longer produced. Also known as Nylon #138. 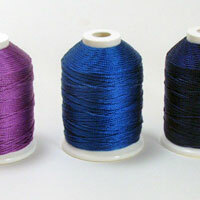 Personal Note - I was glad to find this thread, although the colors are limited. 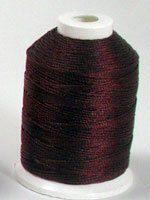 I know I will be using the burgundy and red as they match the new C-Lon Bead Cord Black Currant and Red-Hot almost exactly- what a coincidence. 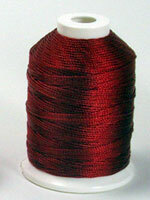 I love to have the same color in different sizes as sometimes the larger thread does not fit through some beads!